For centuries the fur manufacturing industry has relied on individual trappers around the world to supply them with quality pelts. Expensive fur coats, hats, gloves and an assortment of other garments are produced with a variety of fur supplied by the everyday trapper. As small businessmen we take pride in the finished product we bring to market. Hours and hours of sweat equity running trap lines, harvesting the animals we purse, skinning, and stretching the pelts with the hopes of a big pay day at seasons end. As trappers, we commit to early mornings, late nights, rain, wind, snow and freezing temperatures in our quest to fill the fur shed each season. Along with time, we spend a tremendous amount of money each year on our equipment. 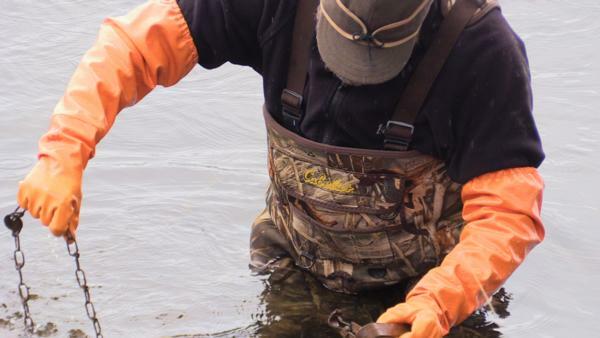 Traps, waders, trapping tools, skinning knifes, warm clothing, pelts stretches, and scents, the list is long and comes with a hefty price tag. 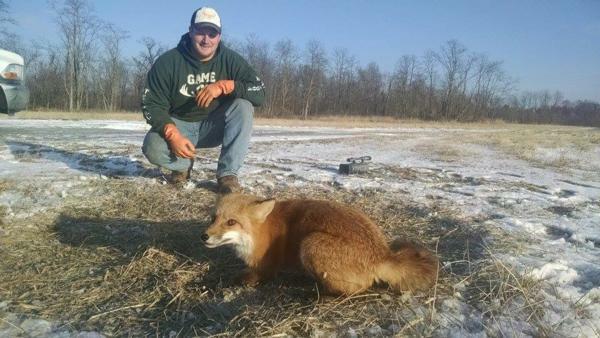 Trappers look to spend there hard earned dollars on equipment that works and lasts a long time. There’s nothing worse than use a new product that fails. 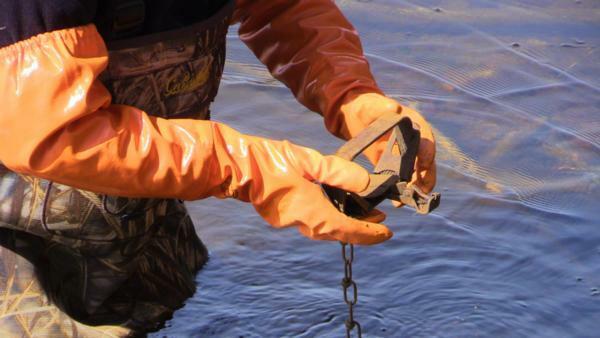 Durable reusable gloves in a variety of sizes and lengths are vital to trappers in all warm and cold climates. Hand protection is the goal here. 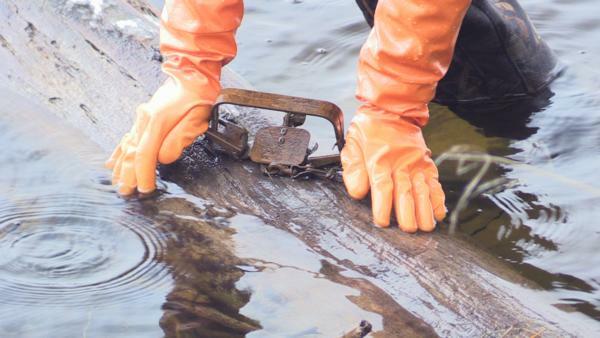 Protection from Mother Nature, nasty marsh water, cuts and scratches, the stink from the smelly animals we trap and the transmittable diseases they carry are some of the many reasons trappers need high quality long lasting hand protection. 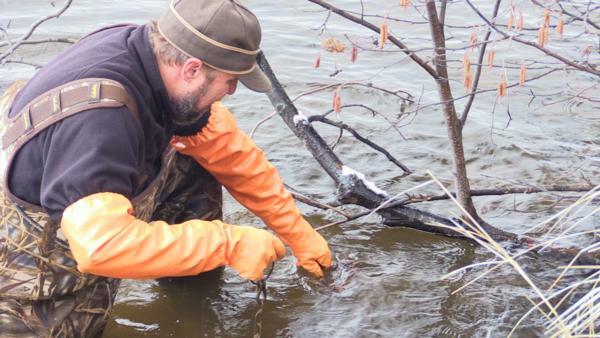 As with our field dressing and waterfowl gloves, trappers from around the world are using our long and short gloves for trapping, skinning, and laying down scent. 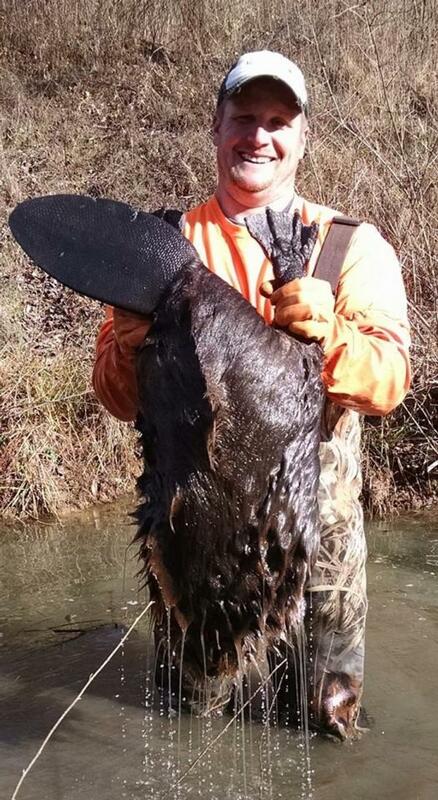 We have lightweight gloves for early season trapping and heavyweight gloves for cold weather trapping. Both versions come in 26” long and 12”short options. The 26” trapping glove has an extra wide cuff that fit over your heavy clothing with a sewn in elastic band which holds the sleeve tightly around bicep. Made of a revolutionary synthetic rubber, the hand portion is dipped with a non-slip coating to assure a tight grip on your traps and tools while running your trap line. 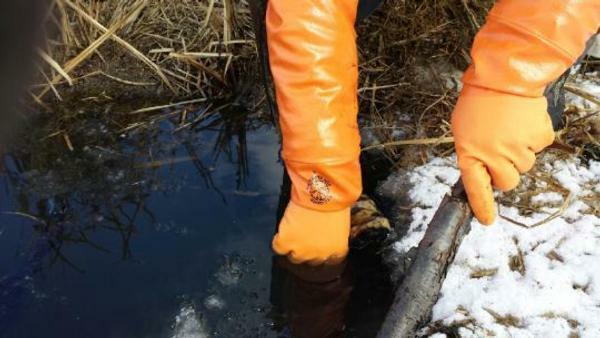 Unlike PVC gloves that stiffen and board up when temperatures drop down below freezing, our gloves remain supple well below 0 degrees to assure you stay warm, dry. 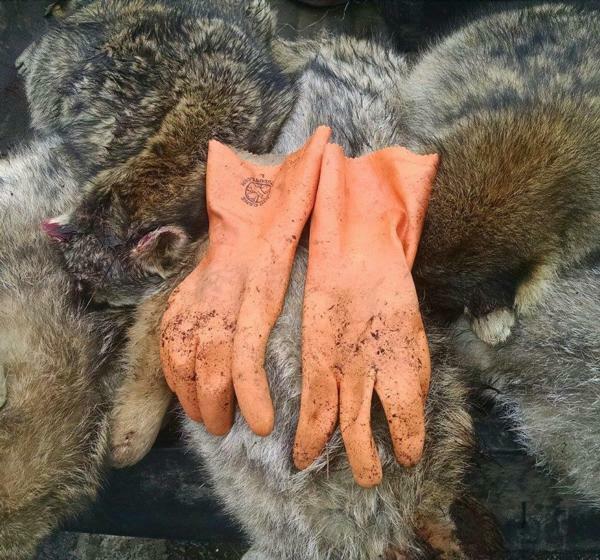 Our heavyweight 12” gloves are perfect for cold weather land trapping and our 12”lightweight glove are great for early season trapping, laying down scent, skinning, and fleshing. Our gloves are made to keep you warm, dry, and protect your hands from minor cuts and scratches. They insulate you from the blood, guts and nasty smell your skin absorbs while skinning. An added benefit to using our gloves is health protection against transmittable diseases carried by the animals we trap.